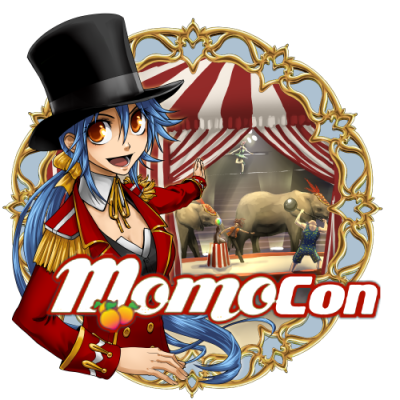 In 2013, the MomoCon Anime & Gaming Convention exceeded all expectations and set a new attendance record of 12,200 people. With the addition of over 50,000 square feet of event space in the Marriott Marquis, organizers say the tenth edition of MomoCon will be "even bigger and better." Launched in 2005, MomoCon is a fan convention that focuses on anime, gaming, comics, and cosplay/costuming. The first MomoCon attracted 700 attendees. The convention has grown exponentially each year, expanding from the Georgia Tech campus in its early years to the Hilton Atlanta and Marriott Marquis. Dan Carroll, MomoCon Senior Director for Media Relations explains, "This year we will have our largest gaming space ever and have already secured commitments from Hi-Rez Studios and Lab-Zero Games. We are crafting a world-class line up of gaming industry guests." Organizers say costuming guests will be posing for photographs, signing autographs, and providing panels on costume craft. Animation guests this year include voice over legends Maurice LaMarche, Rob Paulsen, and Tress MacNeille among others. Mike Reiss, creator of the Critic and producer for the long lasting Simpson will be returning to MomoCon. "Many other guests are already announced," says MomoCon Internal Chairman Christopher Stuckey, "and more announcements are on their way." MomoCon 2014 is scheduled for Memorial Day weekend (23 May - 25 May). Three days are available for $40. Visit MomoCon.com for more details.